We manufactures very high quality Industrial furnances and are designerd as per the customer's specific requirements.These Furnances are mainly used in Picture Tube plants, Glass Plants and many more Industries. These furnance are made of MS, SS, Insulated mnaterial, chains etc and are offered at very competitive prices. 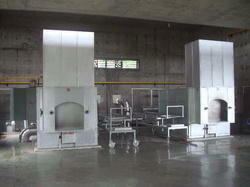 Avail from us cremation furnaces that are based on latest technology. These are ideal to reduce dead bodies to basic chemical compounds to gases and bone fragments. This furnace works through high temperature and vaporization. It requires low maintenance, consumes minimum power for operations and is safe to use. A premium range of Oil Fired Industrial Furnaces that can be operated with the help of LPG/natural gas, LDO, LSHS and HSD. 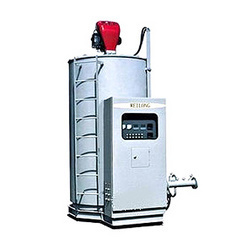 We can offer these industrial furnaces in varied shapes, sizes and specifications as per clients' demands. Available with speed blowers and adjustable pulley, these are known for energy efficiency, longer service life, safe & reliable operations and durability. Gas fired industrial furnaces and metal recovery furnaces we manufacture and offer to clients are ideal for melting metals like copper, ci, lead, brass and aluminum the gas burner used in it has no metal parts inside and is designed with vortex mixing technology for infinite turn down ratio. 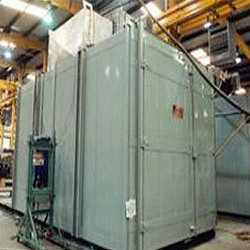 Along with this, we also offer natural gas based annealing furnace for mi product manufacturers. These are known for less power consumption up to 0. 1m3 of n. G. Per kg of output. Industrial Chimney lined inside standard bottom cone self supporting which is made of high quality of sufficient thickness ms with ladder flat form, safety ring, earthling, sampling port, lightning arrester, erecting and heat weather resist painting. Erecting will be carried at costumer place by professionals by using heavy duty crane under the supervision of engineers. 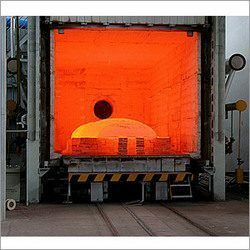 We are engaged in manufacturing and supplying technologically advanced range of Aluminium Melting Furnace. These are provided in varied sizes and capacities as per the application requirement. 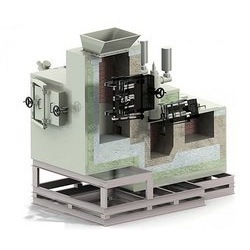 This non-ferrous melting furnace can heat up to 1600 0C. The furnace is lined with 115 mm high alumina element holding bricks and is backed by hot face insulation and milk board in order to achieve minimum skin temperature and reduce radiation losses. Our customers can avail a wide range of Heat Treatment Plants from us which are manufactured using quality material under the supervision of our expert quality controllers. Owing to their high temperature and heat resistance these are extensively used in various Heat Treatment Application. Our expert engineers and technicians manufacture these equipments in different sizes, shapes and designs on the basis of components to be heat treated.